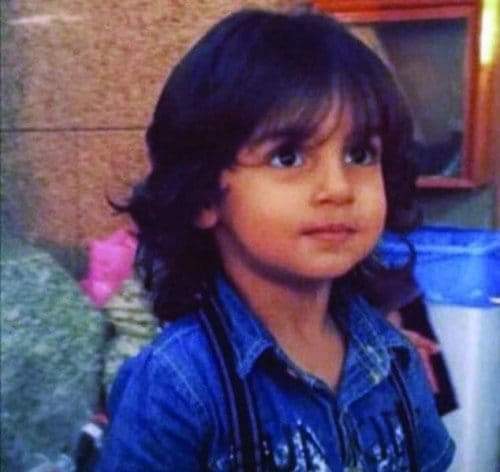 Medina: In an unprecedented incident a six year old boy Zakaria Al-Jaber was murdered in cold blood days back in a Medina street in Saudi Arabia after he was confirmed to be a Shia. As per reports “Zakaria was traveling with his mother in a taxi on their way to the Prophet’s mosque and grave. The taxi driver heard his mother uttering a prayer sentence and thus realized her being Shia which she didn’t deny when he asked her. The driver after hearing it pulled over the car got out and forced the boy out of the car near a coffee shop in the Al-Tilal neighborhood. The taxi driver then broke a glass bottle to obtain a shard of glass, which he then used to cut the throat of the child and stab him”. The mother, who unsuccessfully had tried to stop the man, collapsed out of trauma. Meanwhile following the incident the Saudi Shia community came together in mourning and to show solidarity with the parents. The community also reported this incident as a result of ongoing violations and lack of protection by the Saudi authority toward its Shia population. Saudi Shia have been under military crackdown by their government and many Shia activists are in prisons. Shia Rights Watch, human rights NGOs and activists have long advocated for the rights of this minority through campaigns, UN and other entities. However the population still suffers because of the lack of international commitment to end such violations. In 2016 the Saudi authorities executed Shia cleric Ayatollah Sheikh Al Nimr and the 2018 murder of journalist Jamal Khashoggi also points to a wider issue of persecution, underreporting and suppression within the Kingdom.